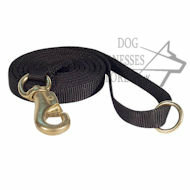 Dog harness should be indispensable equipment for every day. 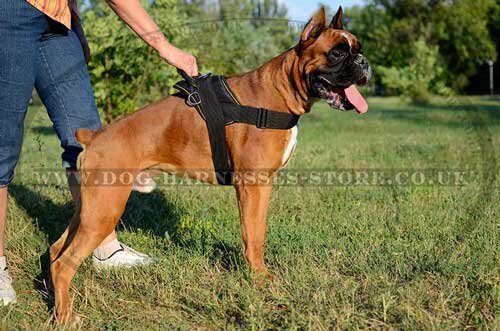 It is great, when there is one harness for so many various activities with lovely dogs. 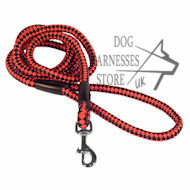 Such nylon dog harness stays universal in use even under rain or snow and fits for small and big breeds. 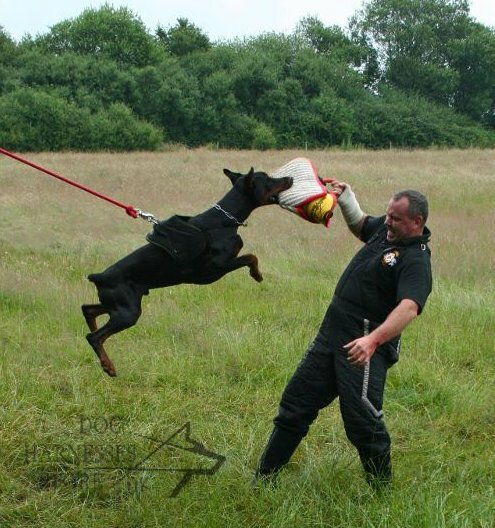 No matter what the weather is, your dog feels comfortable and stays under your safe control whatever he or she does! 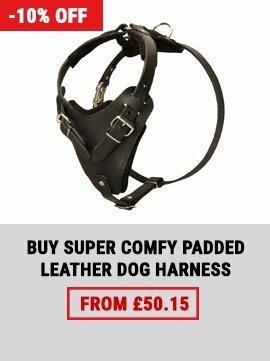 One Dog Harness - Many Activities! This dog harness UK is carefully made of first-class strong nylon. It is extra durable, weather-resistant and light-weighted. 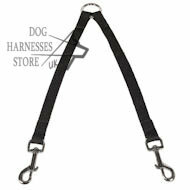 The harness is equipped with handy plastic click-lock buckle for easy and quick putting on and taking off. There are 3 nickel-plated welded D-rings (1 ring to attach a lead and 2 rings to do pulling activities). 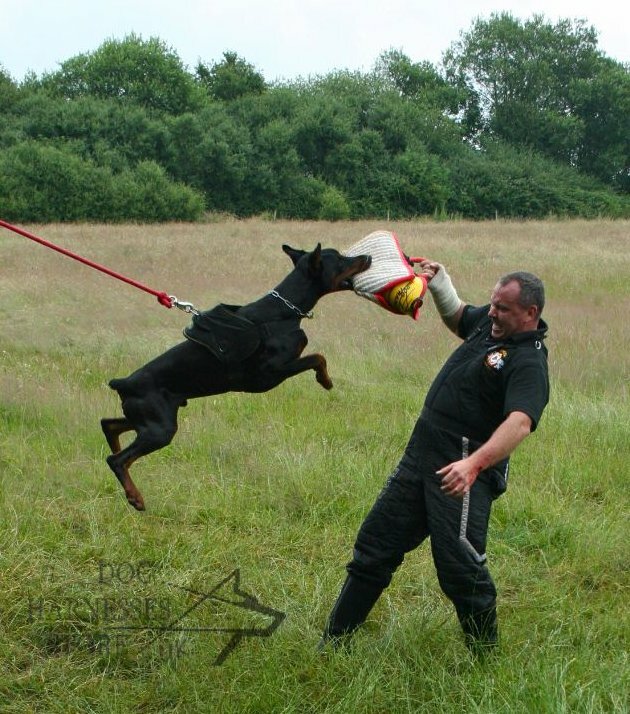 The sport harness stands even extreme loads and jerks by powerful and large dogs. 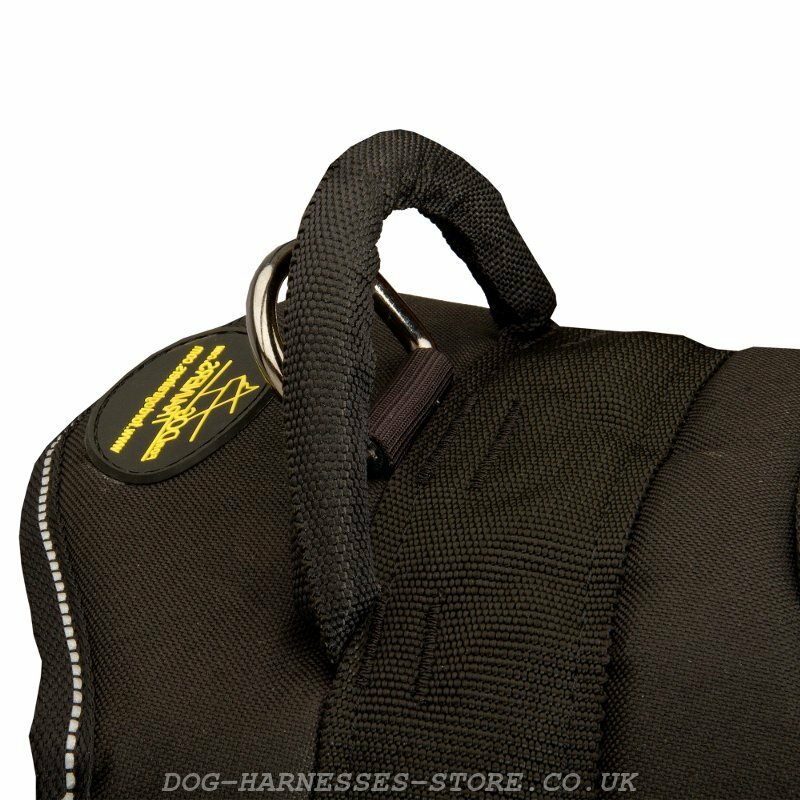 Ergonomic handle above of the nylon harness ensures highest possible control by dog's owner. 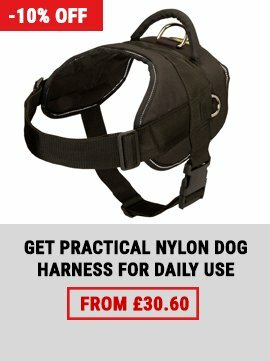 Get the most functional and convenient harness for your active canine! 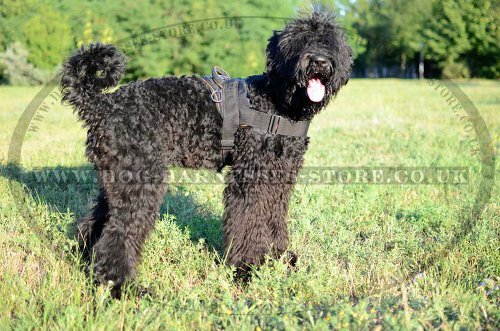 You can also order this nylon dog harness with reflective trim and make your canine visible in the dark! 1. Thank you for very fast service, harness fits very well and I am so happy with it. 2. Hi, just to let you know the harness arrived today. I'm very pleased with it, perfect fit for my dog. Great service! Thank you. 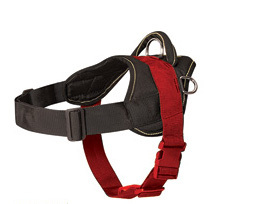 See our exclusive collection of nylon dog harnesses. 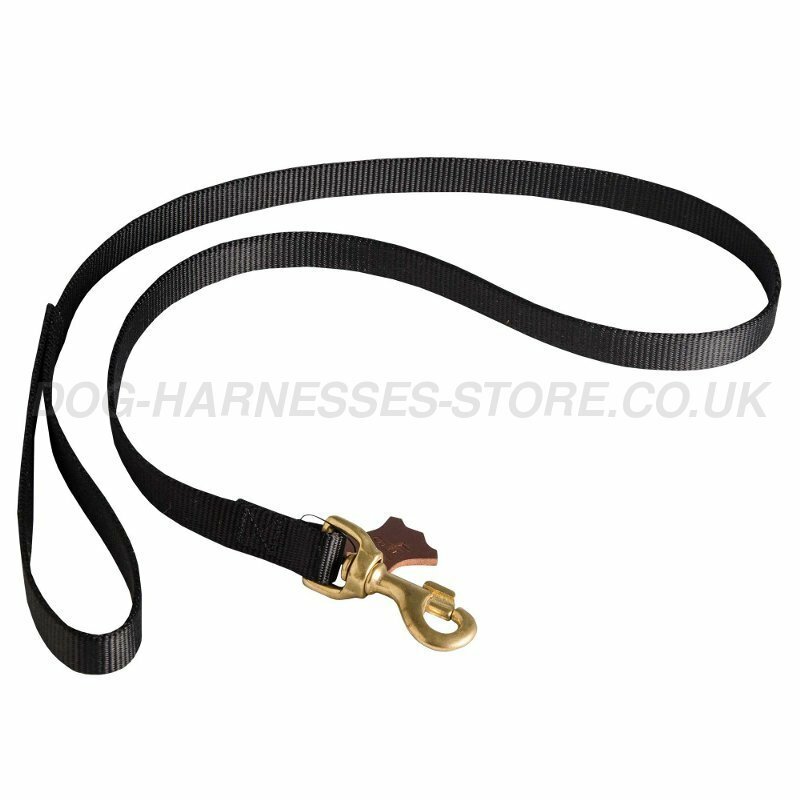 This harness is very simple, but effective, it is easy to regulate with the help of buckle. 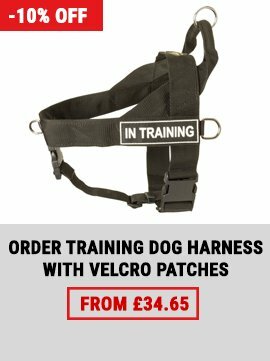 The harness doesn't rub, slack off and fits tightly unlike previous harnesses, which I was used – they were loose and slipped and my dog escaped the harness easily. My money is well spent. I like these new products. My Cane Corso looks and moves with comfort. I am not worrying for her. Thank you. This is really nice and high-quality harness. I bought it for my GSD girl, it is just 15 months, but weights 43 kg. The harness helps to control and it is really convenient for her.